Anthony Gobert pulls into park fermé and is mobbed by the Muzzy Kawasaki team. 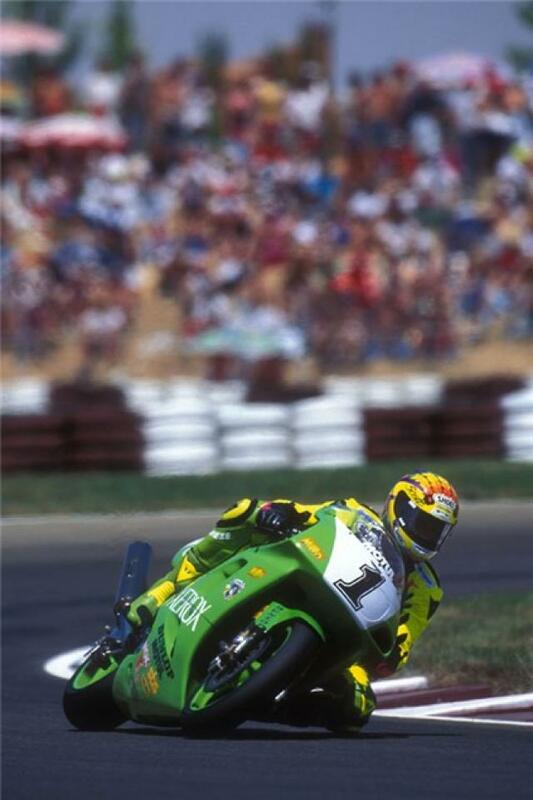 A first place in the second race at Phillip Island secures a very respectable fourth for the infamous Aussie in the 1995 World Championship. This was to be the last win on the world stage for the ZXR750 as 1996 saw the launch of Kawasaki's new flagship 750, the ZX-7R. Ahh... I remember it well. Rewind seven years to 1988. The World Superbike Series is launched and Kawasaki face stiff opposition with their outdated GPX750R from Bimota's YB4E1, Ducati's 851, and most notably Honda's RC30. The old GPX won a race that year, but it was obvious they needed something better, something racier. 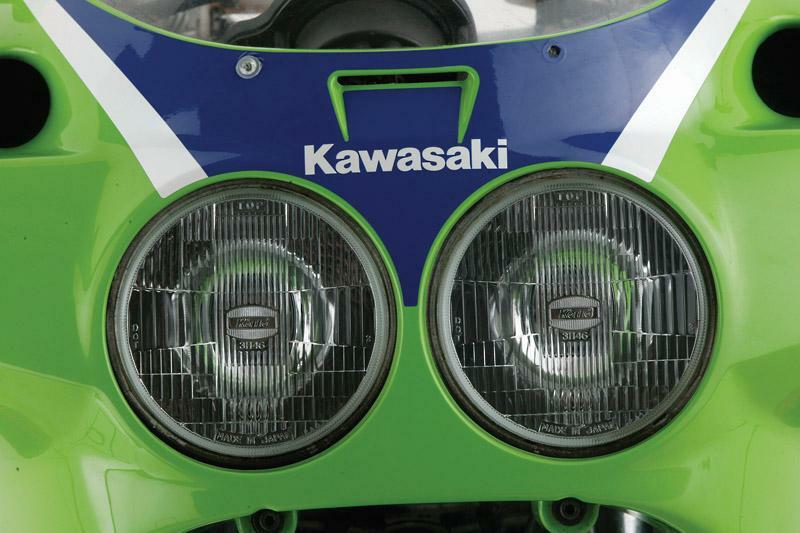 Then in 1989, Kawasaki launched onto the streets the roadgoing ZXR750 (ZX7 in the US). 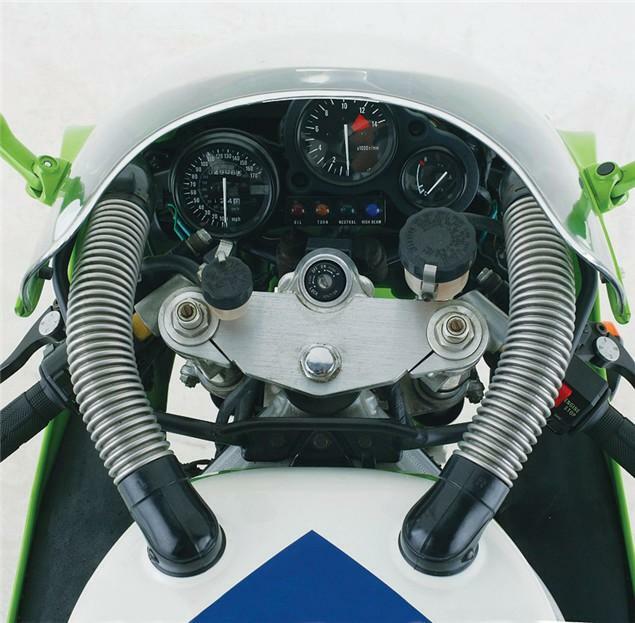 This first incarnation bore an uncanny resemblance to a race bike, and utilized an updated GPX power plant. The most notable part of the H1 was the addition of the completely useless but very cool looking 'Hoover' pipes. Iconic in themselves, they did nothing more than channel air onto the top of the cylinder heads. Kawasaki would have to wait until 1990 and round 6 in the USA for Doug Chandler to put the new ZXR750 onto the top step of the podium for the first time. Doug was partnered by arguably Kawasaki's most famous pilot, Scott Russell, who would take Kawasaki to the World Superbike championship in 1993 - the first WSB championship won by an inline four. Updates followed year-on-year as a direct result to tried and tested technological advances on the racetrack. 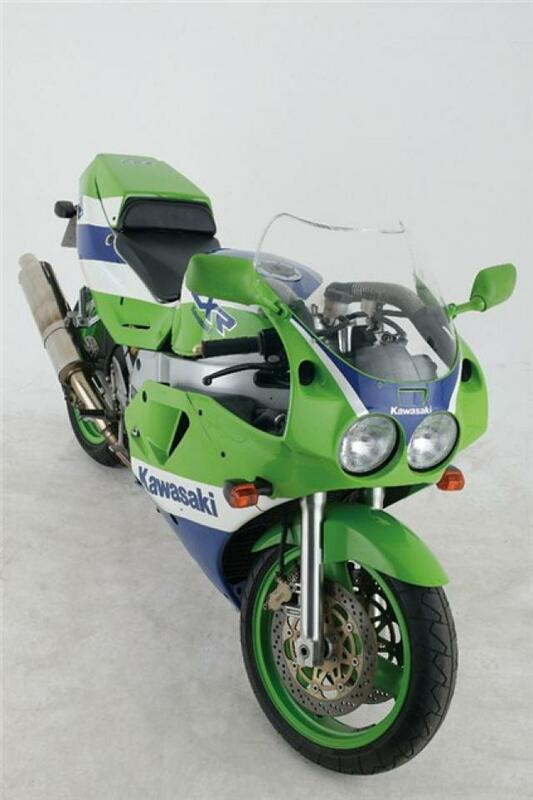 The original H models were touted as a rival to the RC30 but at almost half the asking price. On the road? Never. Mainly because the Honda was so rider friendly compared to the ball breaking super-hard rear shocked Kwacker, despite the price difference. The later H2 was easier on the arse, with an improved rear shock linkage. A strange move was made with the 1991 J model designations. Horses were restricted to 100, thanks to a predicted Euro-law which never came, but it took race-version K-model cams and other bits to de-restrict. One benefit was a welcome improvement to the mid-range and an even better pile-preventing shock. With a top speed of around 150mph, the ZXR could never be called a slouch. The L1 received a left-sided ram-air scoop in 1993 and was now fitted with the race engine from the K model. 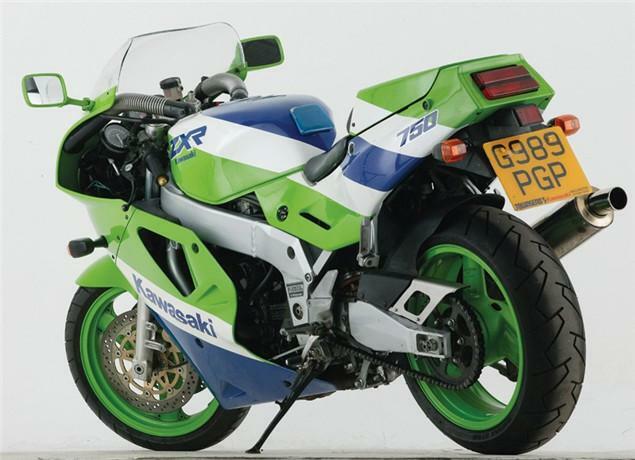 A few disgusting shell-suit paint jobs later and she was consigned to history, to be replaced by the equally famous ZX-7R. 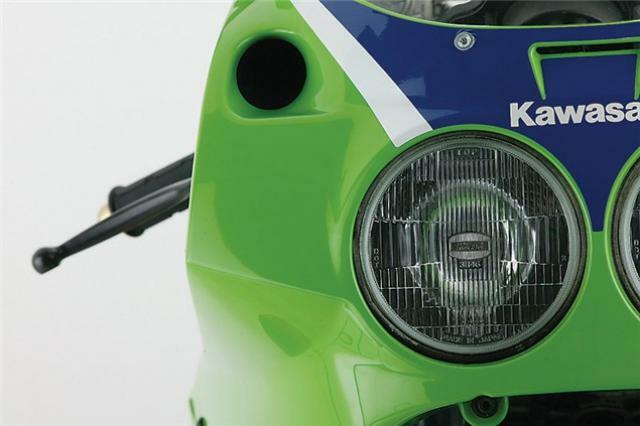 1992: Kawasaki produce the ZXR750R (K1 and K2 models) in limited numbers.